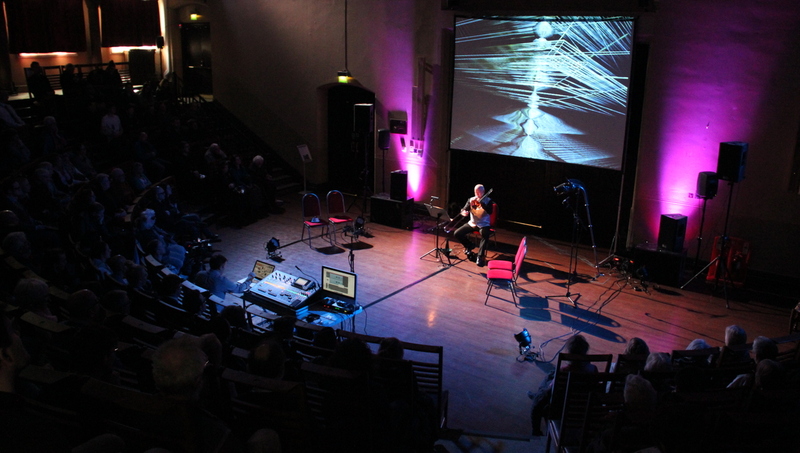 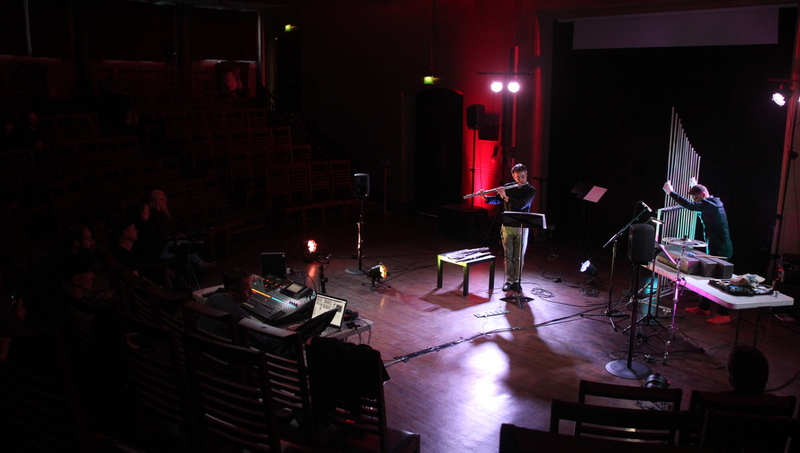 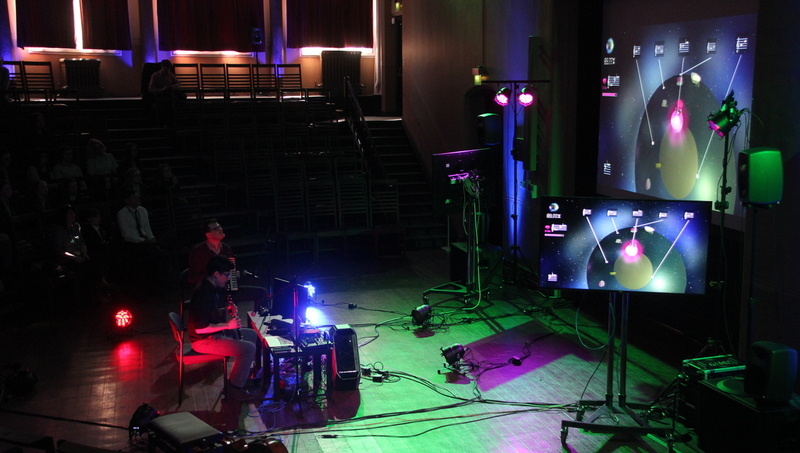 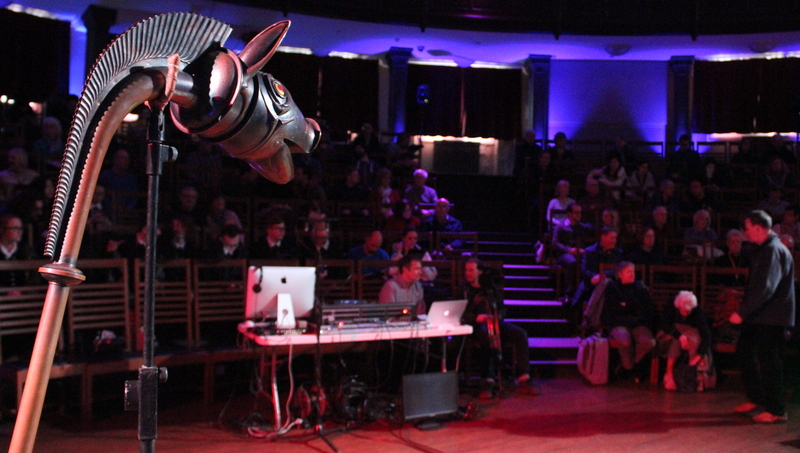 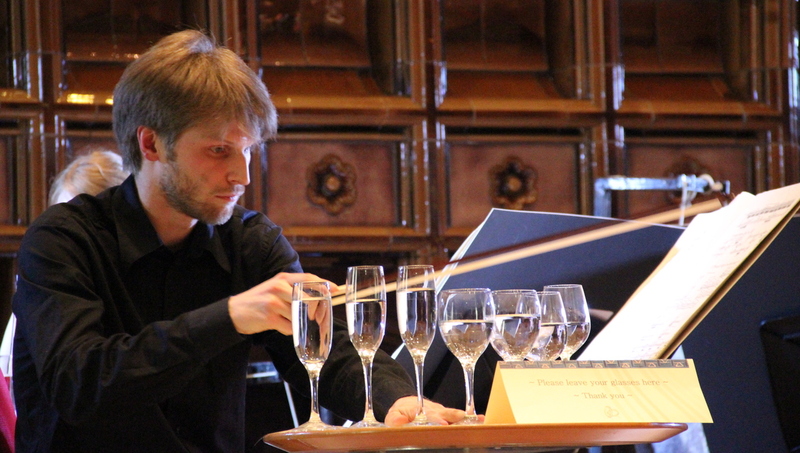 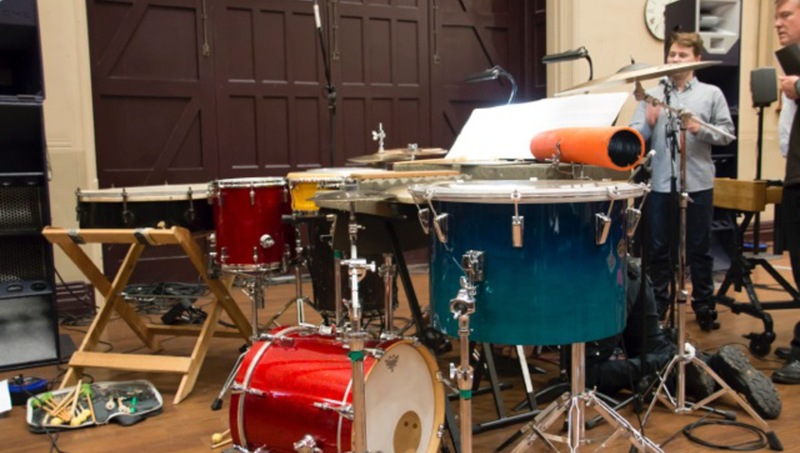 Both University of Liverpool staff and postgraduate student work is on display at the University’s annual Open Circuit Festival of new music and audio-visual performance, headlined by the Royal Liverpool Philharmonic’s contemporary music group Ensemble 10/10 and a featuring variety of distinguished guest performers and composers from around the world. 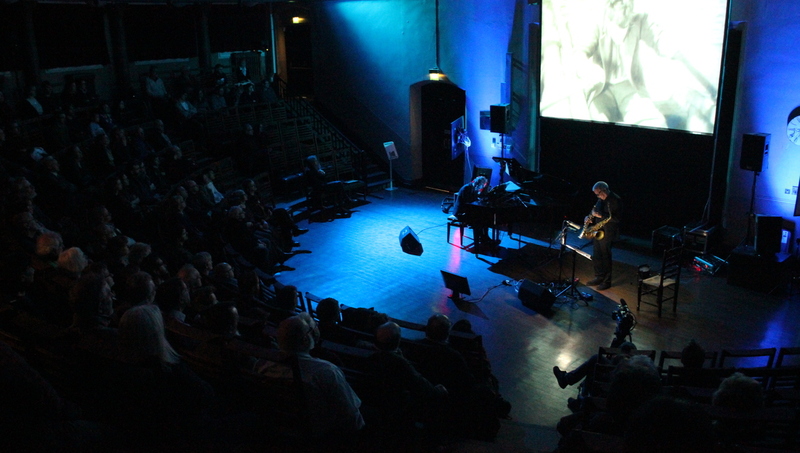 Tickets now availble! 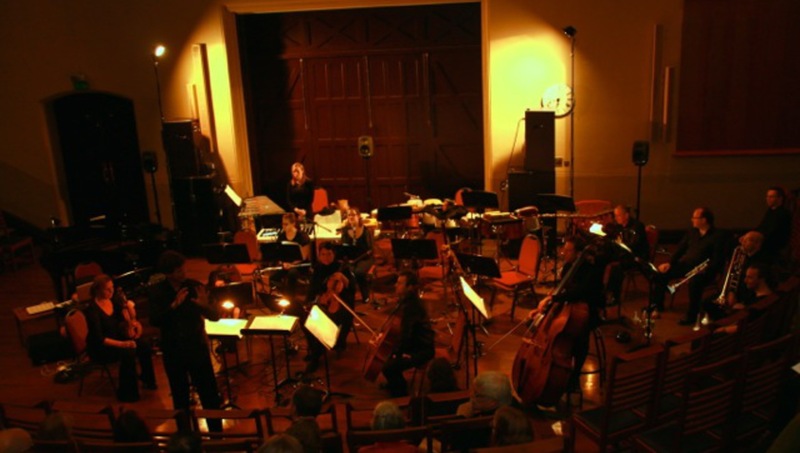 Please see the concert lineup here. 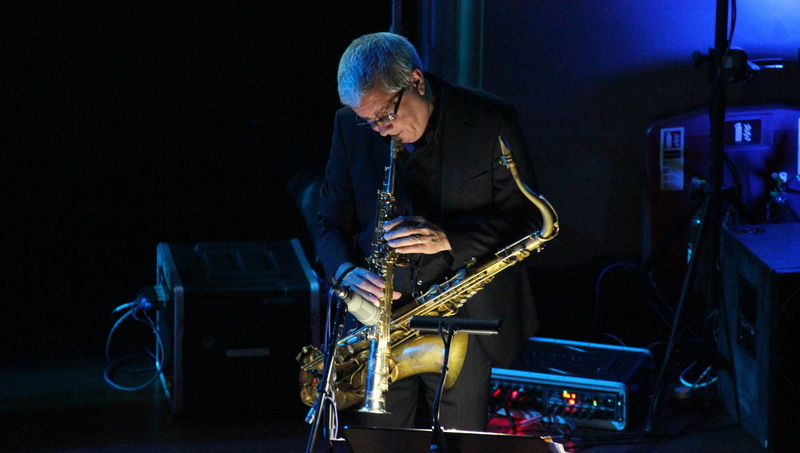 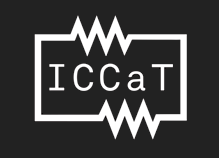 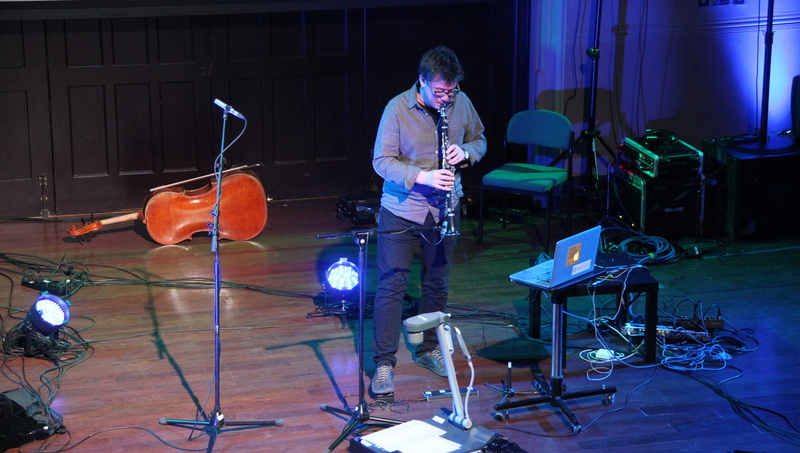 Featuring Philippe Manoury, Ensemble 10/10, Christian Lindberg, Richard Craig, House of Bedlam Ensemble, Pixels Ensemble and more. 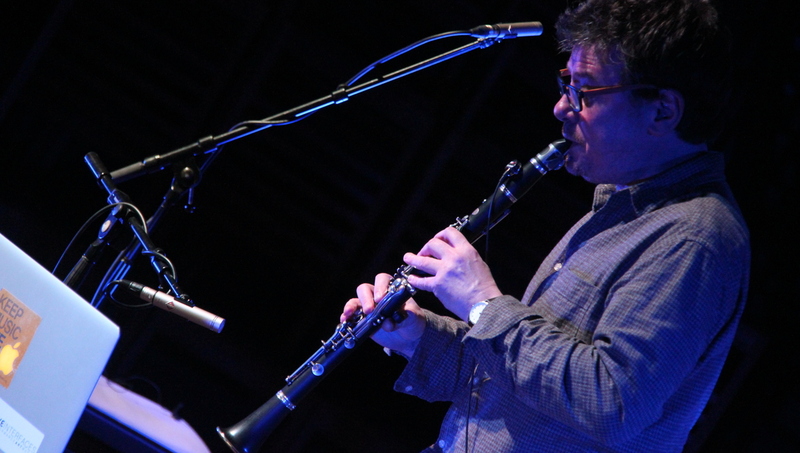 Featuring Sir Harrison Birtwistle, Ensemble 10/10, Joanna MacGregor, Andy Sheppard, the Gildas String Quartet, John Kenny and more. 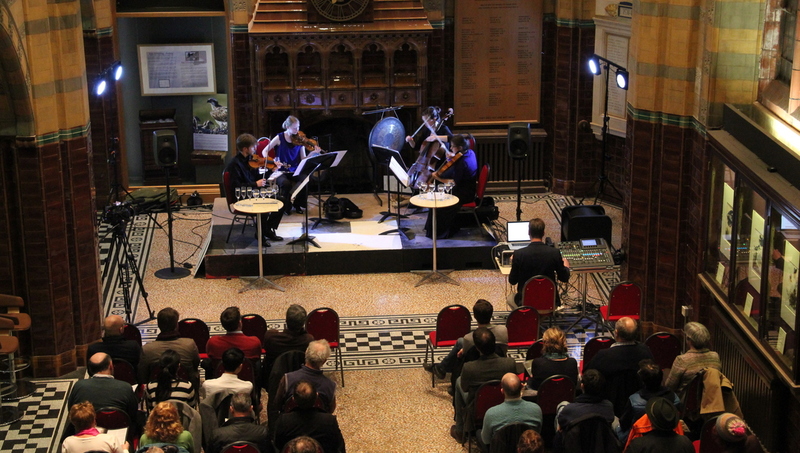 The Gildas quartet performing Hackbarth's Liquid Study 1 in the VG&M Cafe. 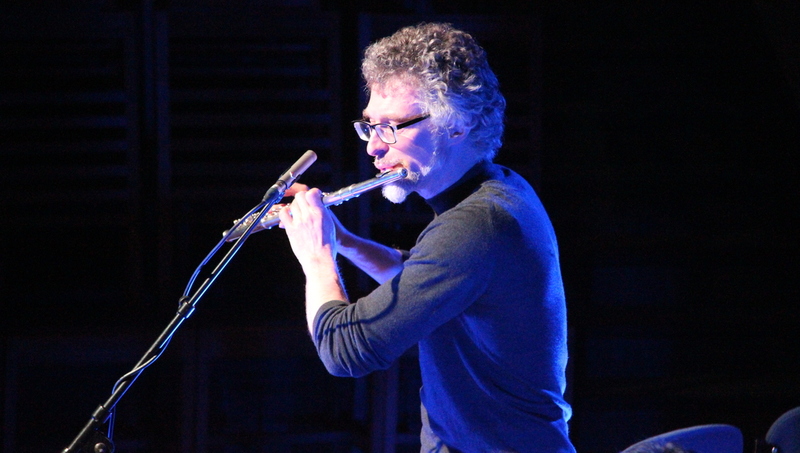 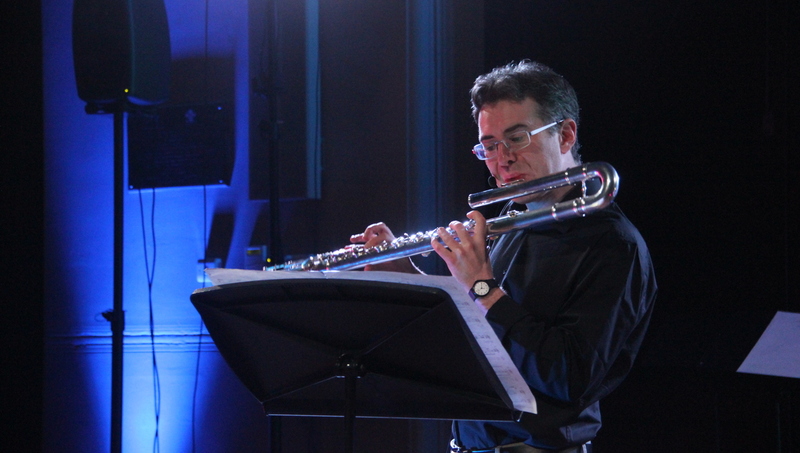 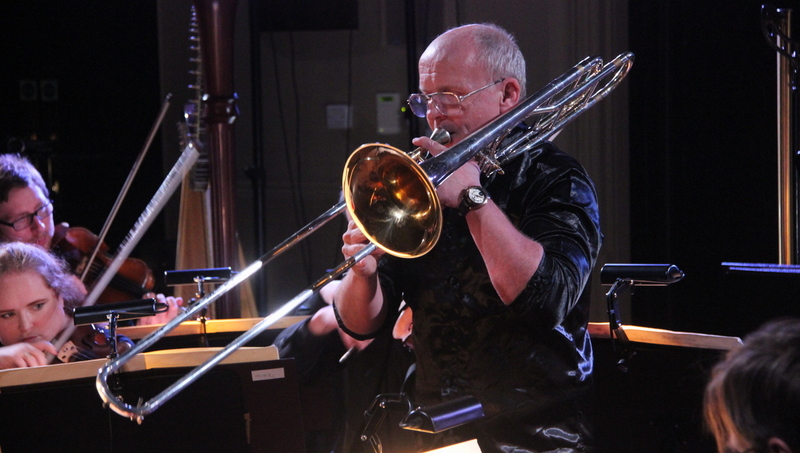 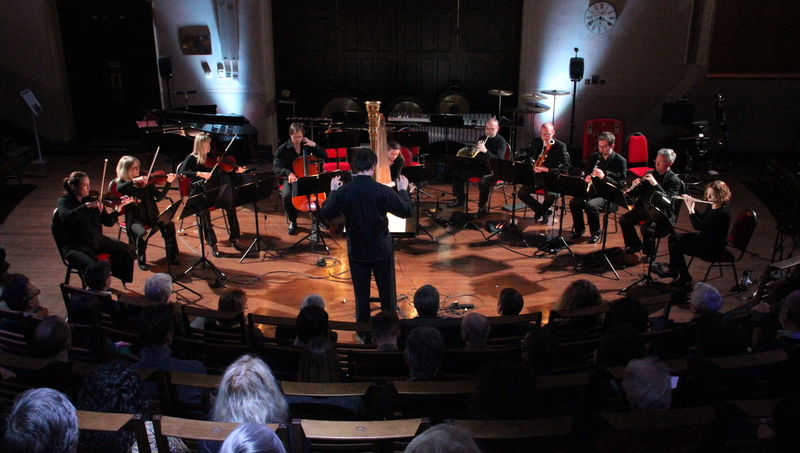 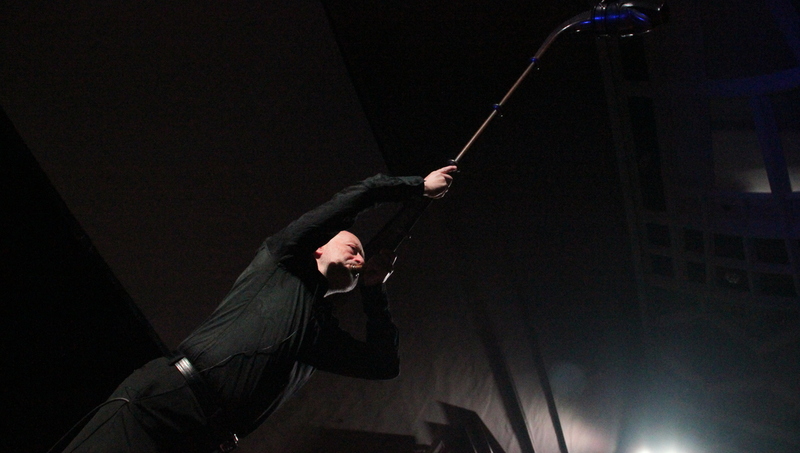 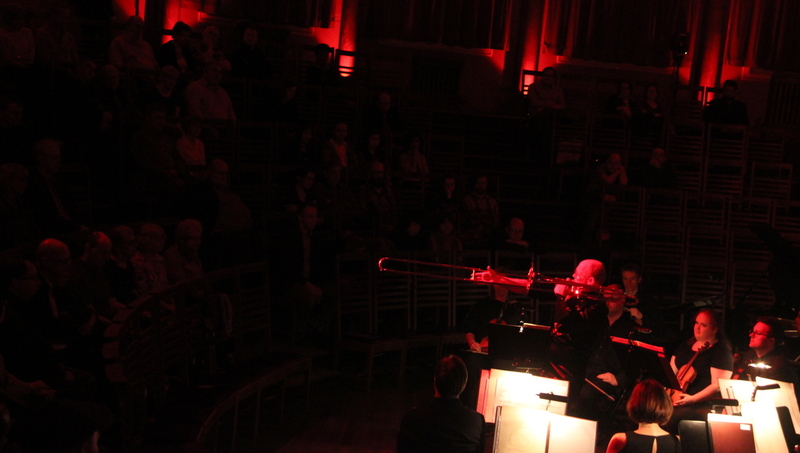 John Kenny performs Fairclough's piece Lifeline for trombone, video processing and computer sound. 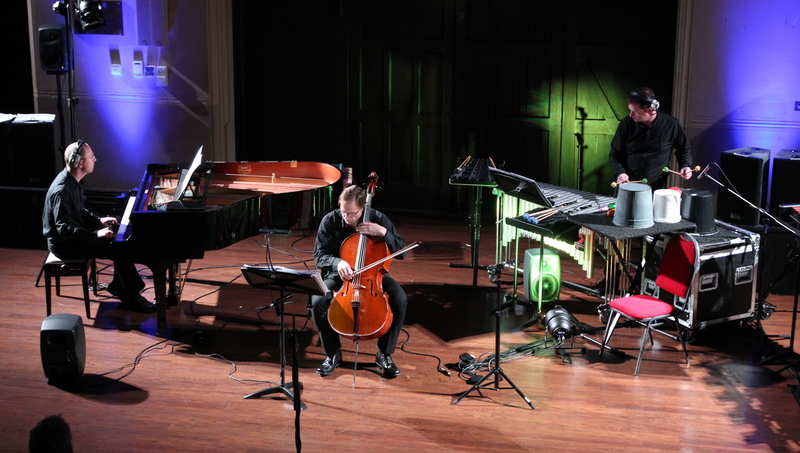 The Pixels Ensemble performs Hackbarth’s piece Dot Matrix Dialect written for Ian Buckle (piano and director of Pixels), Jonathan Aasgaard (cello) and Julian Warburton (percussion). 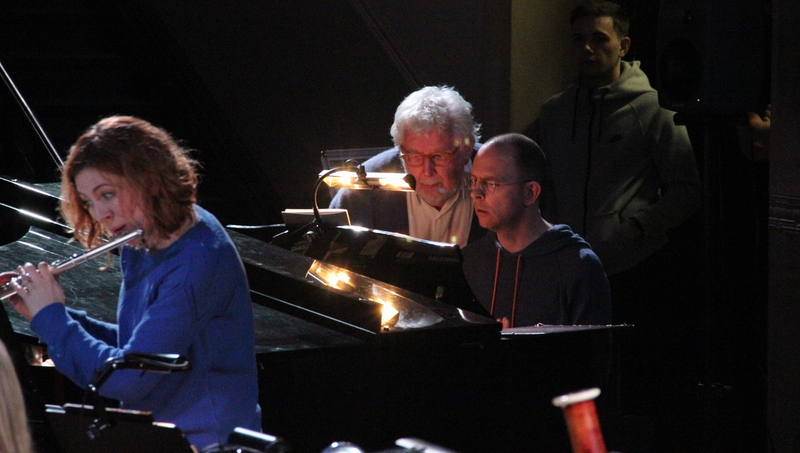 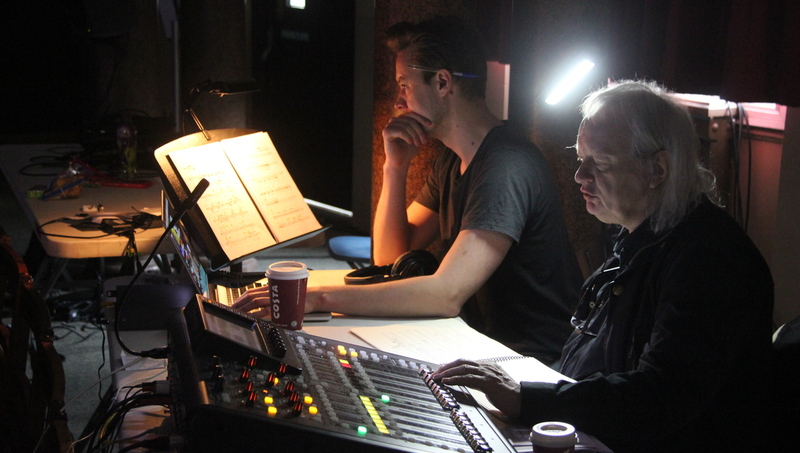 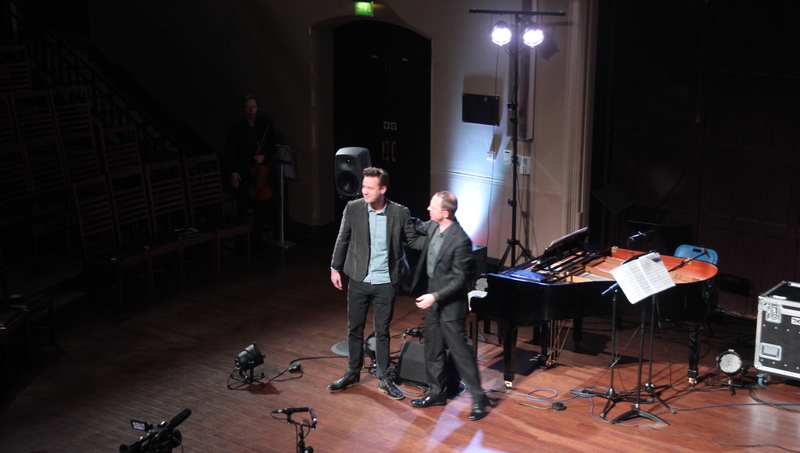 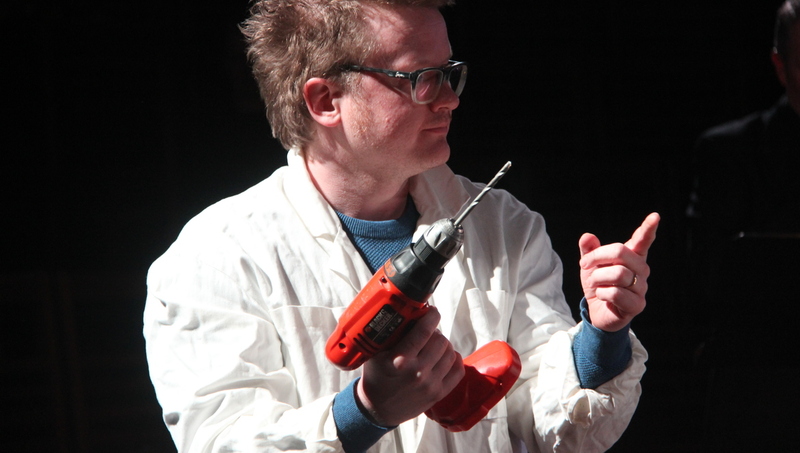 Birtwistle works the the RLPO's pianist Ian Buckle when rehearsing Secret Theatre. 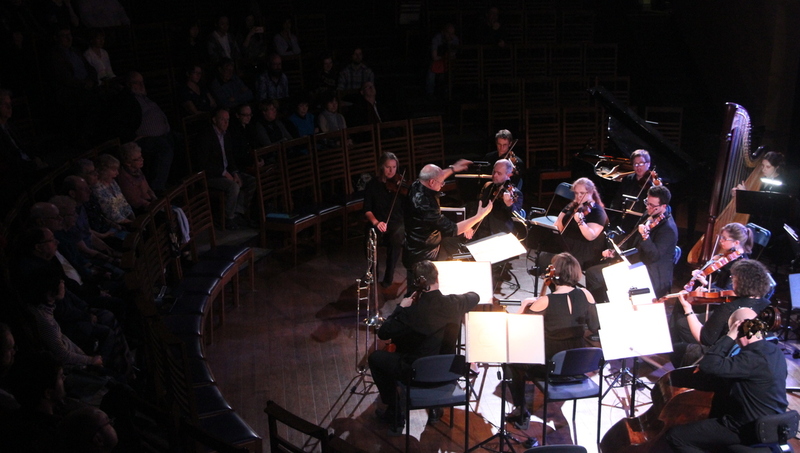 The RLPO's ensemble 10/10, led by Clark Rundell, performs music by Birtwistle in Open Circuit 2016. 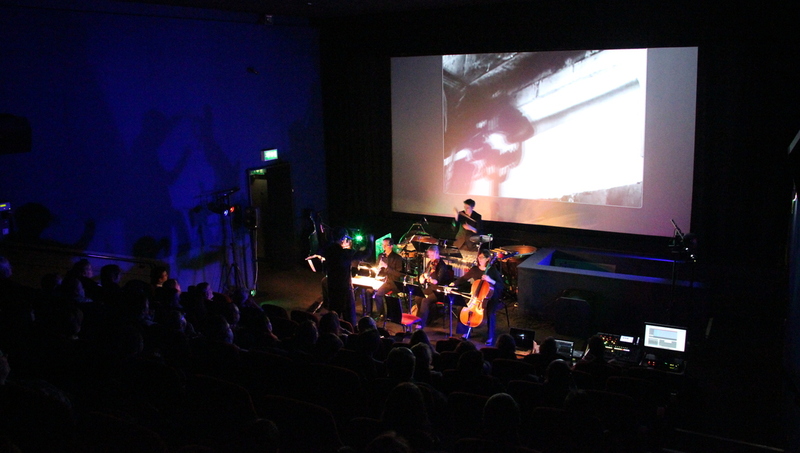 The RLPO performs students' work at Theatre 2 in FACT. 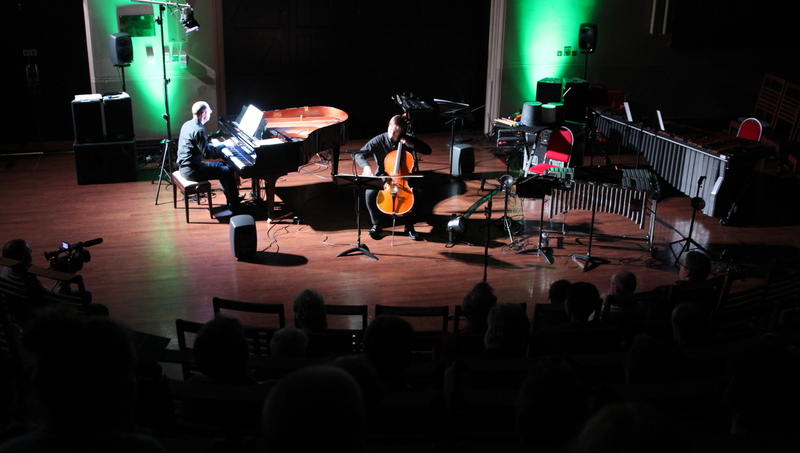 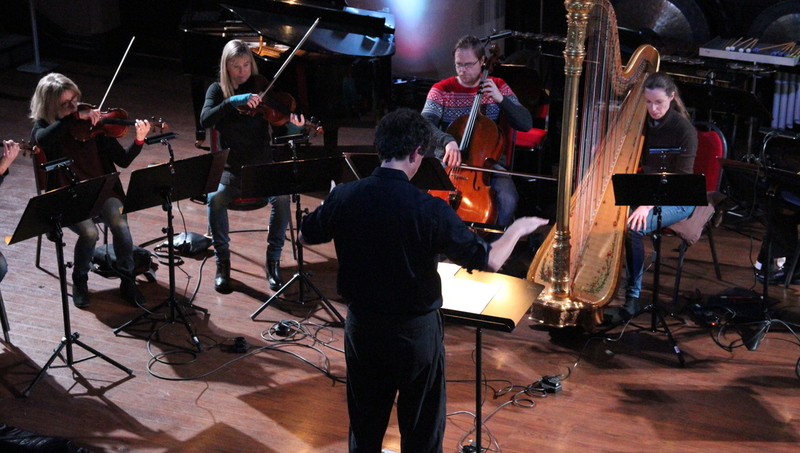 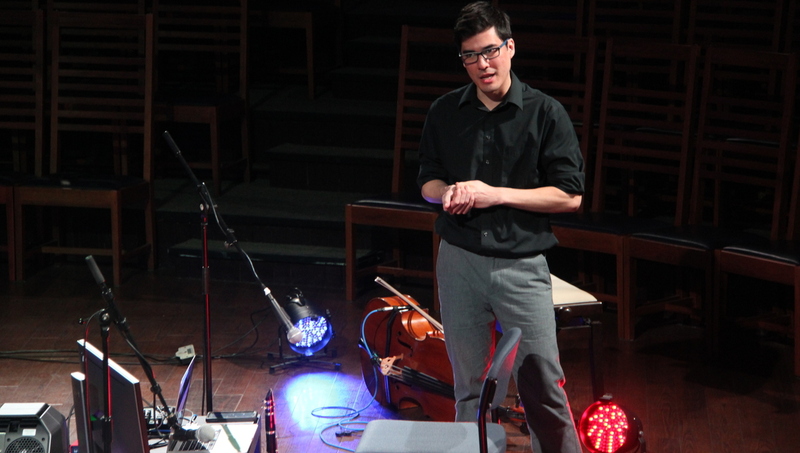 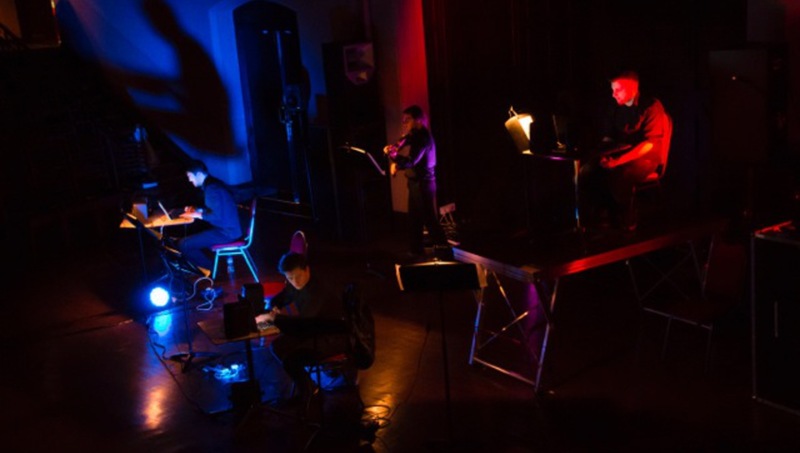 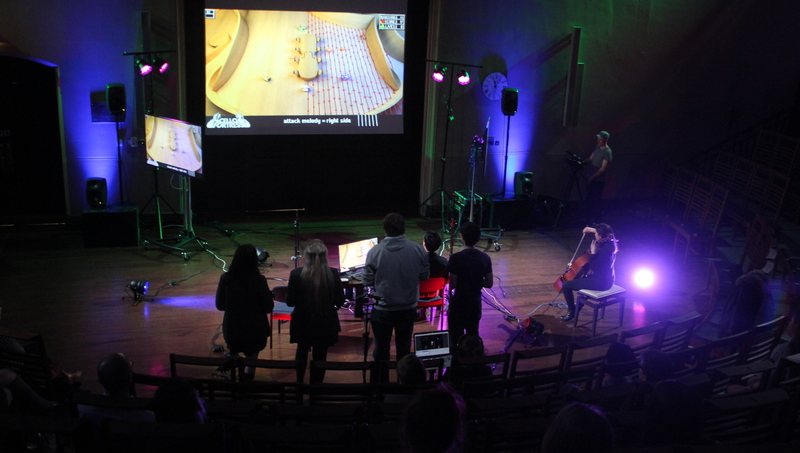 The Pixels Ensemble performing Carter’s Sonata for Cello and Piano in Open Circuit 2016. 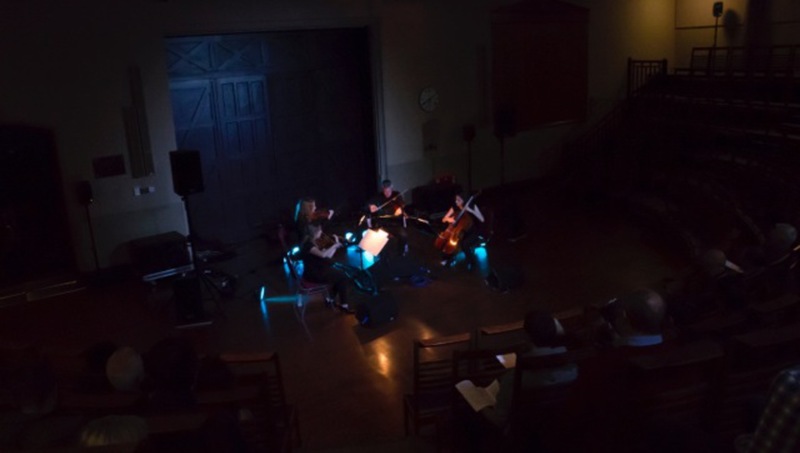 Featuring the Elysian String Quartet, Ensemble 10/10, Oliver Coates, Joby Burgess, Markus Popp, Vessel and more. 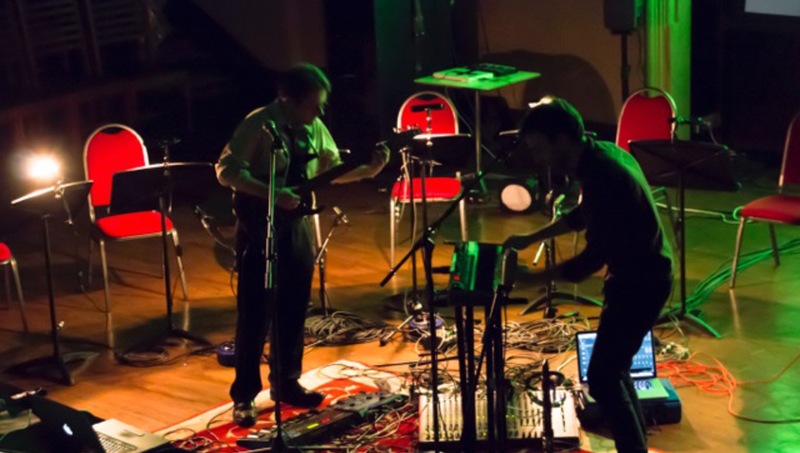 The Aleph perform in conjunction with Liverpool Music Week. 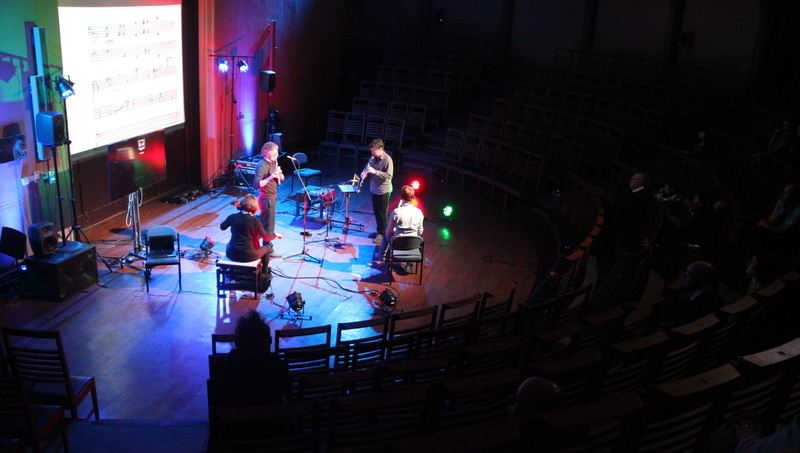 The student laptop ensemble, led by Oli Carman, perform music alongside Simon Jones on violin and Ben Hackbarth on spatialised computer sound. 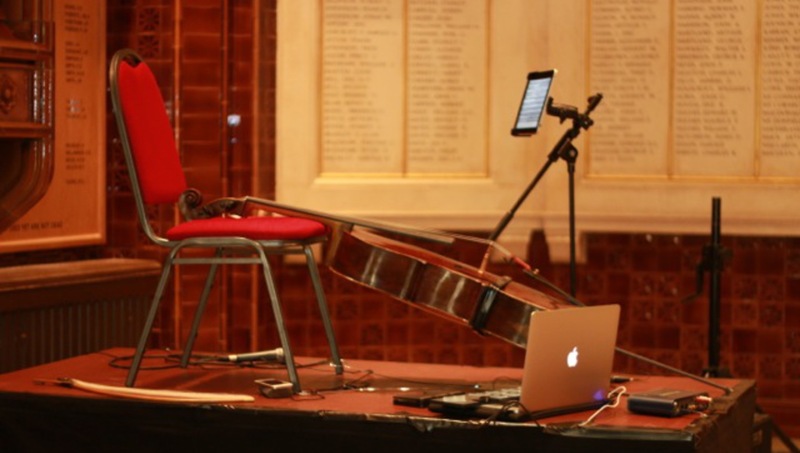 Jody Burgess' setup for a lunchtime concert including Xenakis' piece Psappha.